Today in the United States, a child’s zip code often determines the quality of education they will receive. Sadly, children from “the wrong zip code”—poor children and children of color like the ones at our STEM camp—don’t get a quality education. The effects of this disparity are far reaching and include higher crime rates, high unemployment rates, and higher levels of poverty. If nothing is done to improve the odds for minority children, the problem won’t be limited to certain zip codes. It will affect our entire nation; many suggest it already has impacted our nations’ competitiveness in the global economy. While we all know that education can drive meaningful change and long-term success, little is being done to improve education in poor urban areas with high populations of minorities. The Mount Vernon Technology & Science Youth Center for Advancement, soon to be re-named the Northeast STEM Starter Academy at Mt. Vernon- NSSA, aims to change that. 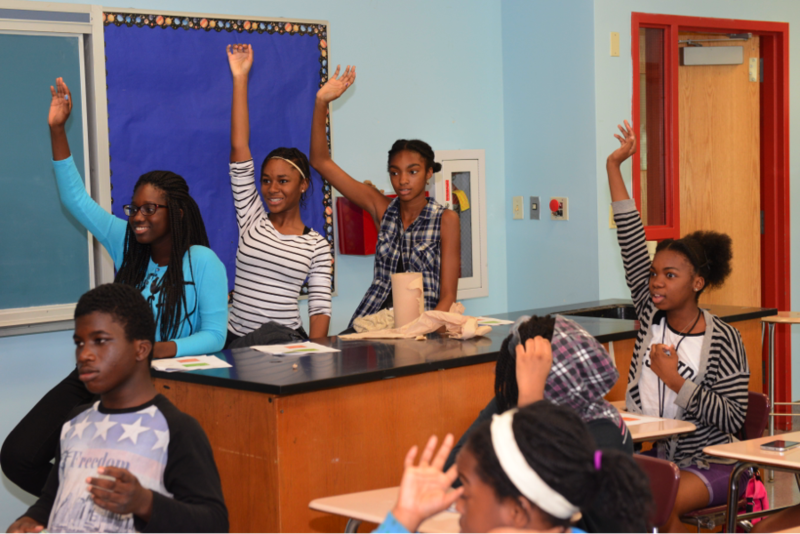 And last summer’s STEM camp and our recent 6-Saturday coding and entrepreneurship course for 10th and 11th grade girls is just the beginning. 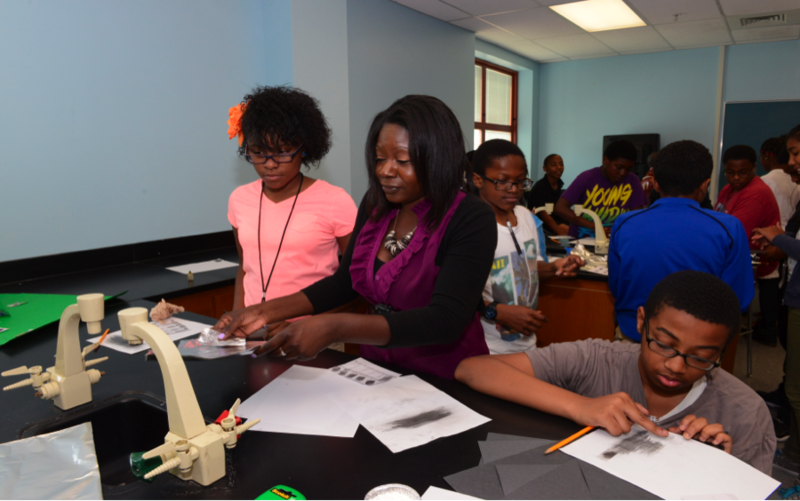 To support our efforts to enrich the learning of our 7th graders attending our summer STEM Camp, we had the privilege of being joined by Lehman College School of Education’s Dr. Sunyata Smith, Doctoral Lecturer, Middle and High School Education Department. Dr. Smith received her B.S. in biology from SUNY Old Westbury College on Long Island and her Master’s and Ph.D. in Microbiology and Immunology from Albert Einstein College of Medicine in the Bronx. Dr. Smith delivered two exciting weeks of our children learning genomics and forensics and the students loved every minute of their experience. Dr. Smith exhibited passion for the subject matter and a superior sense of being able to engage and maintain the undivided attention of every student for the entire two-week period. The impression and learning imparted by this educator resulted an eagerness to learn that will help drive the type of change essential for this group of at-risk young people. Mayor Bill de Blasio & Chancellor Carranza Make Important Announcement at New World High School! Teacher of the Year Shares Award with Former Teacher, now Lehman College’s NYC Writing Project Director & Interim ILS Director!